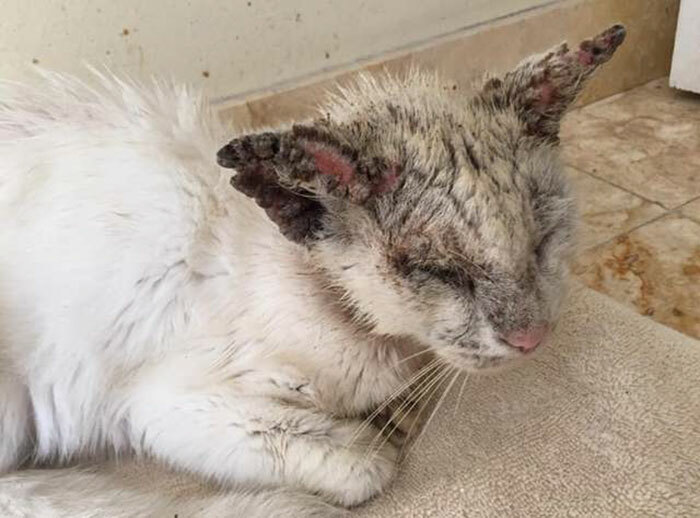 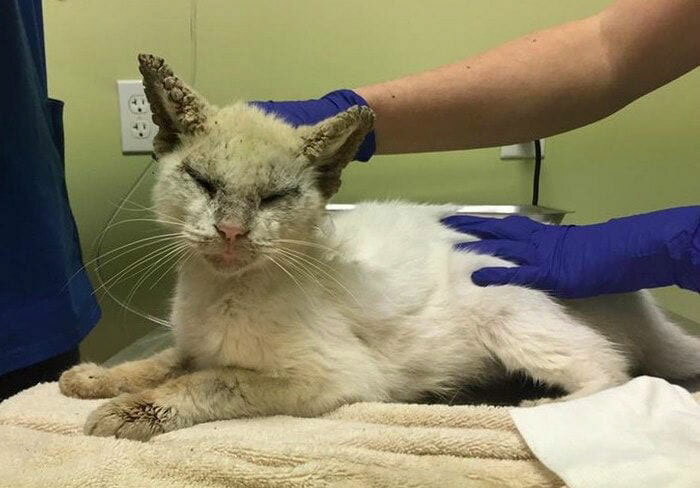 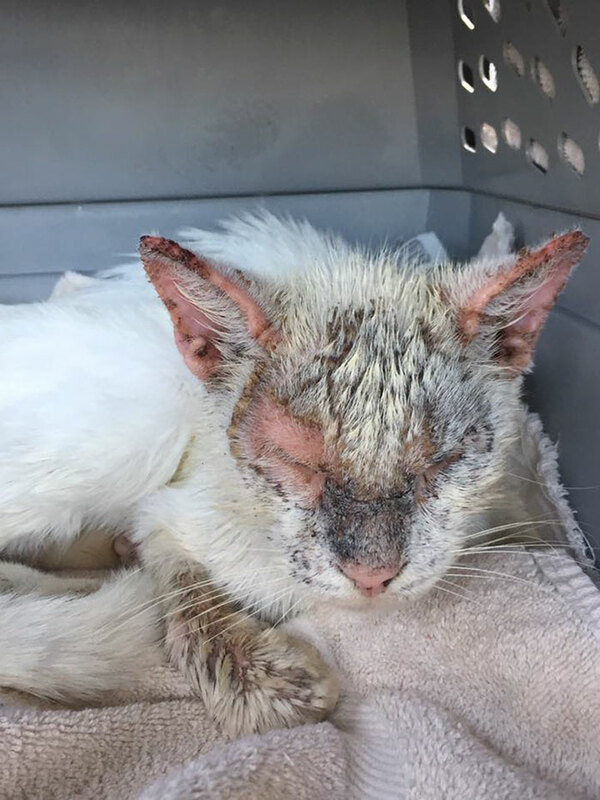 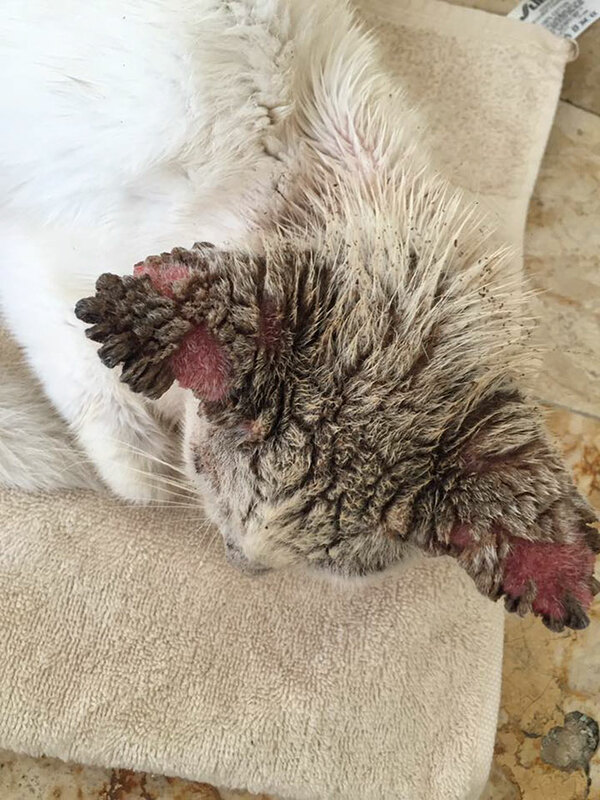 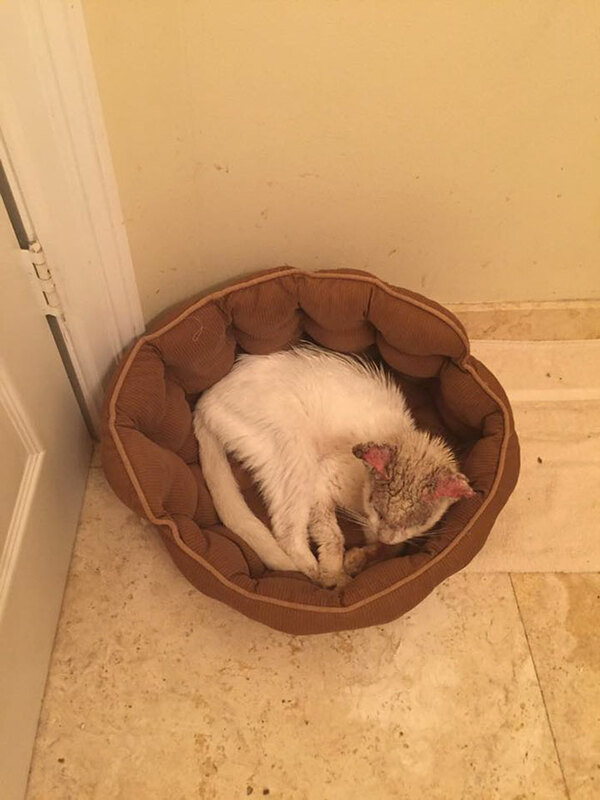 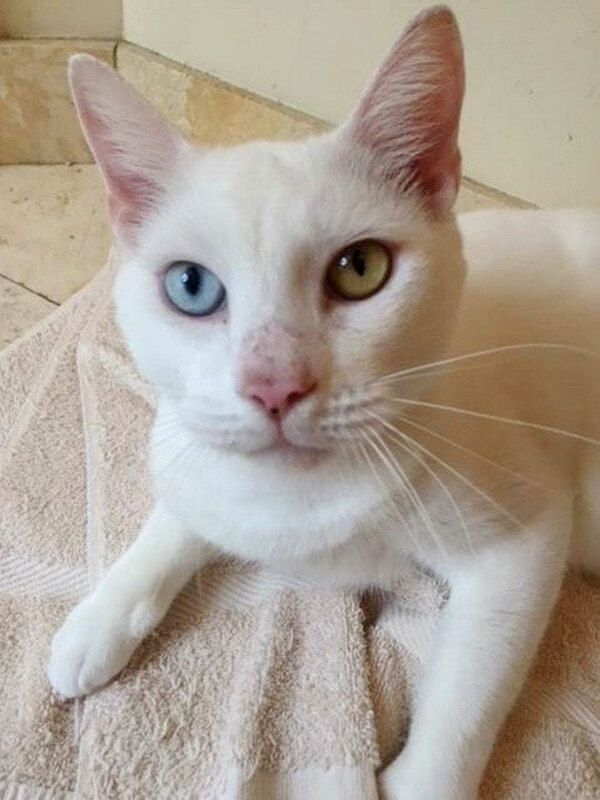 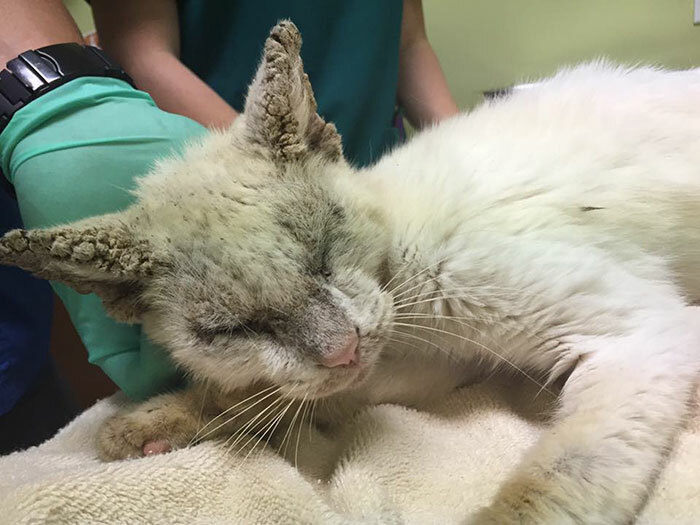 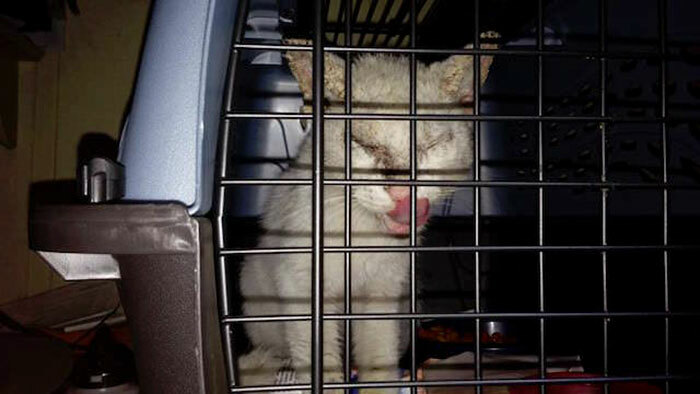 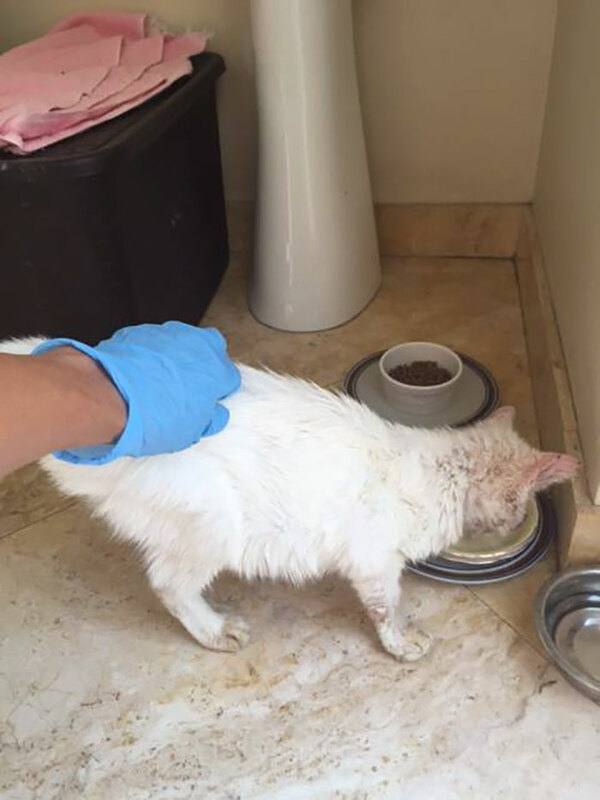 Cotton the cat was alone on the streets, starving, disease-ridden and close to death. 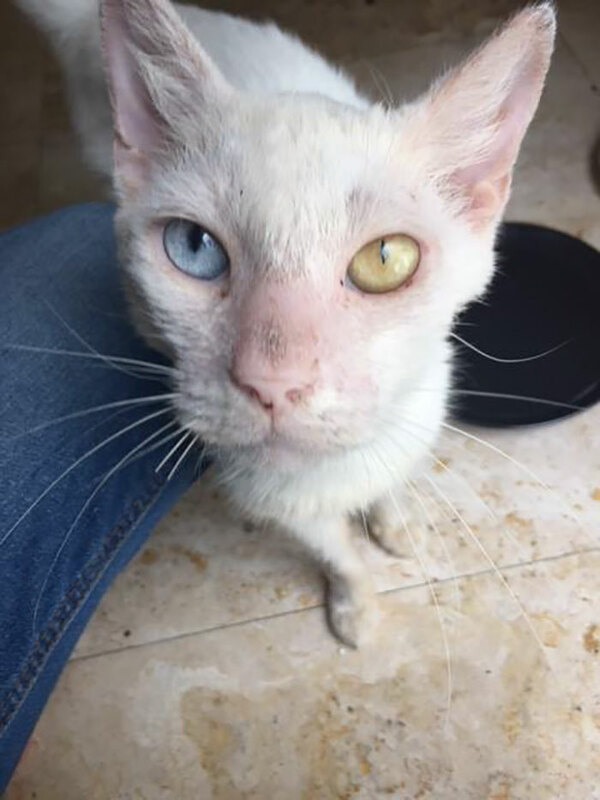 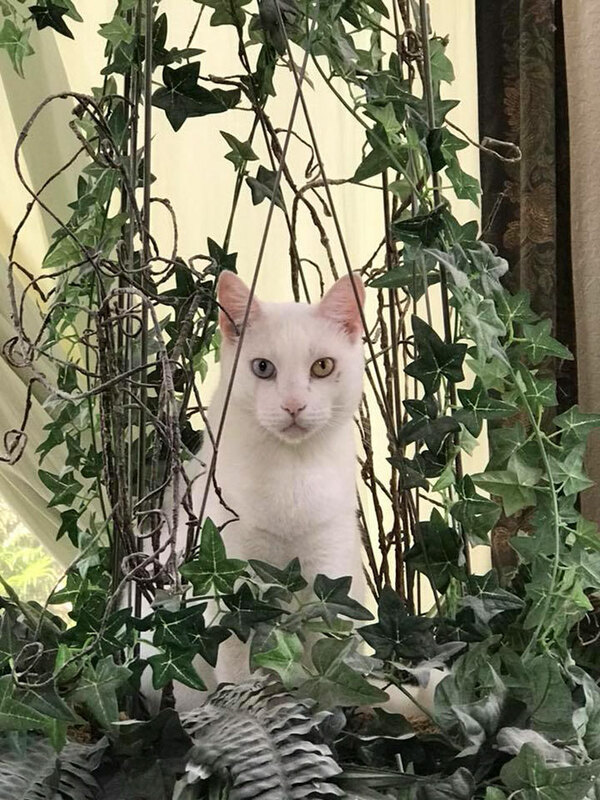 His eyes were scabbed over with mange and he was being eaten alive by mites, finding any kind of food without the use of his eyes was next to impossible. 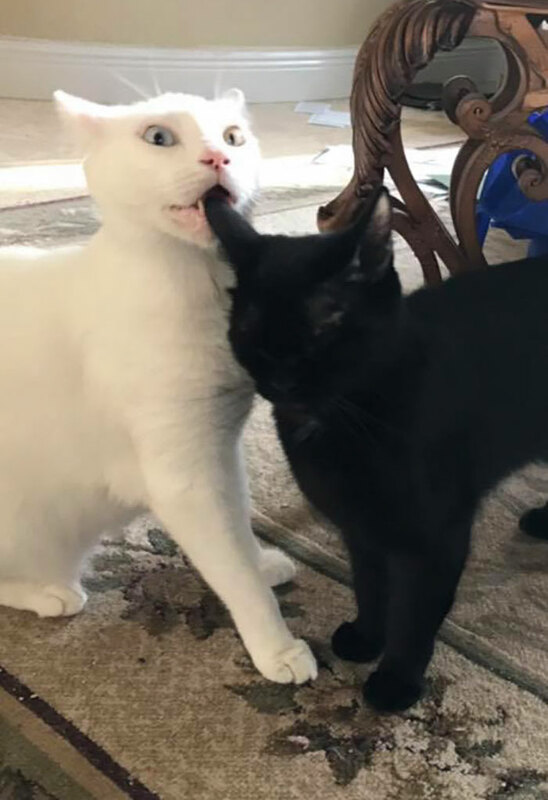 But then his guardian angel arrived. 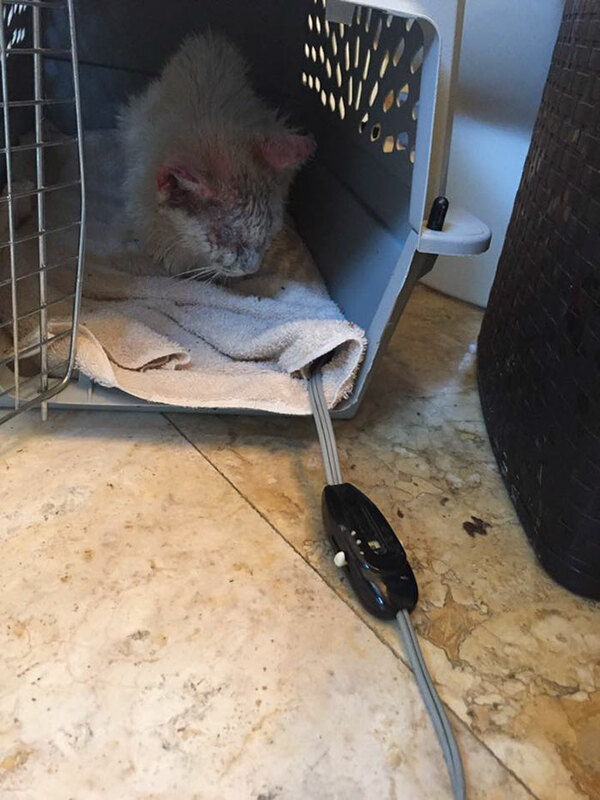 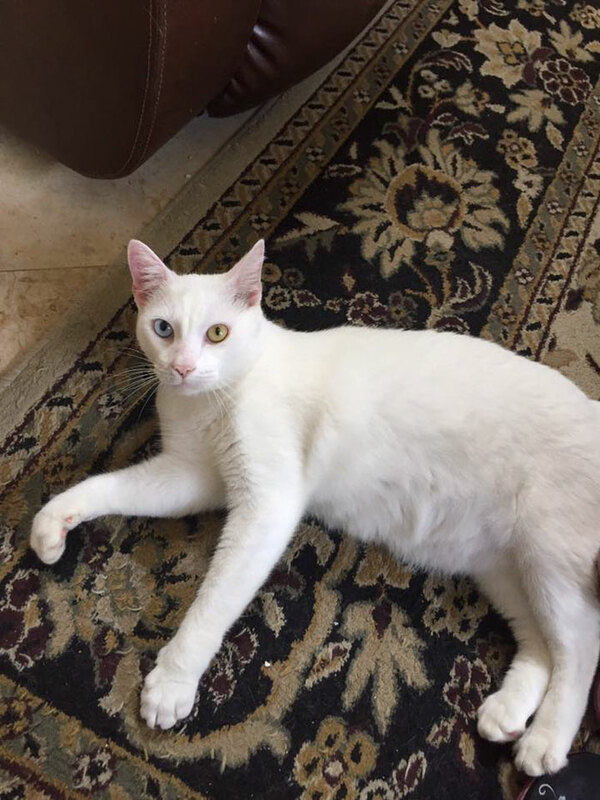 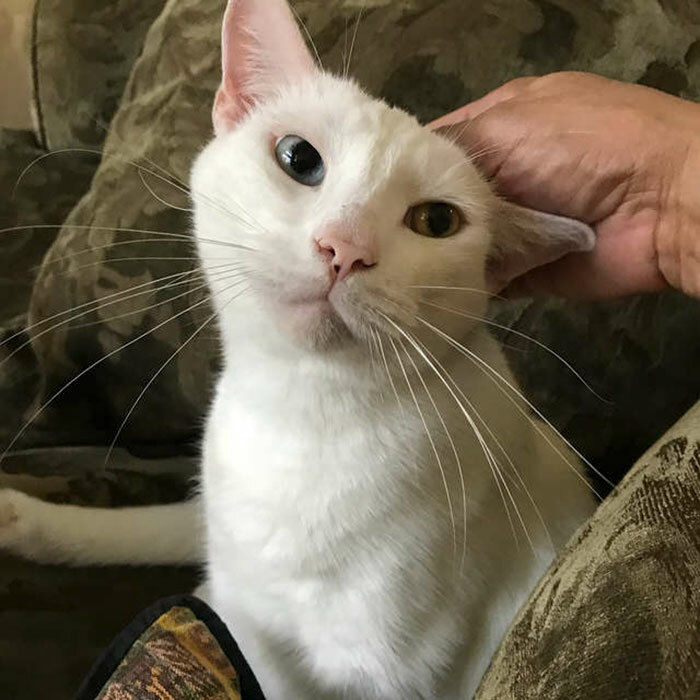 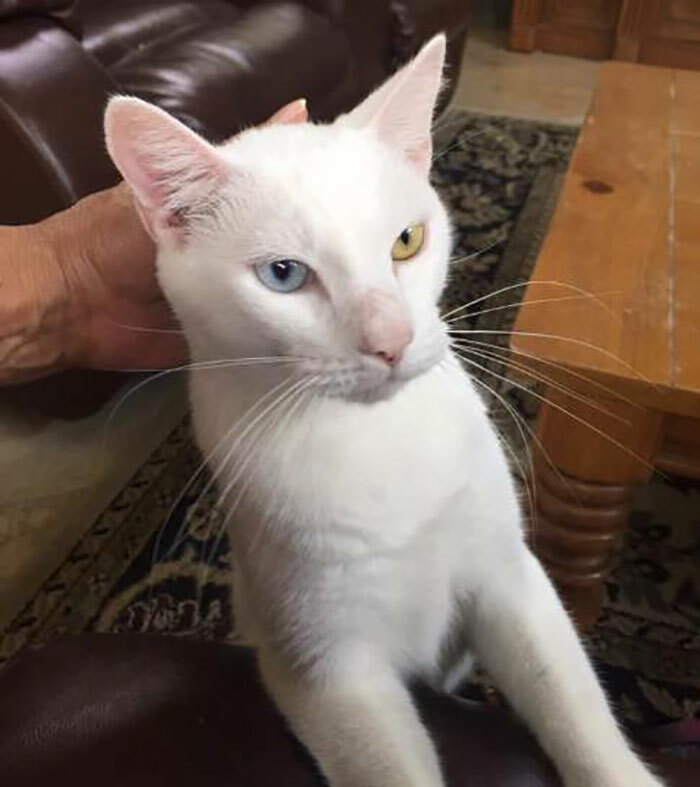 Carmen Weinberg, founder of Animal Friends Project Inc., was heartbroken when she received him, and immediately took him under her care. 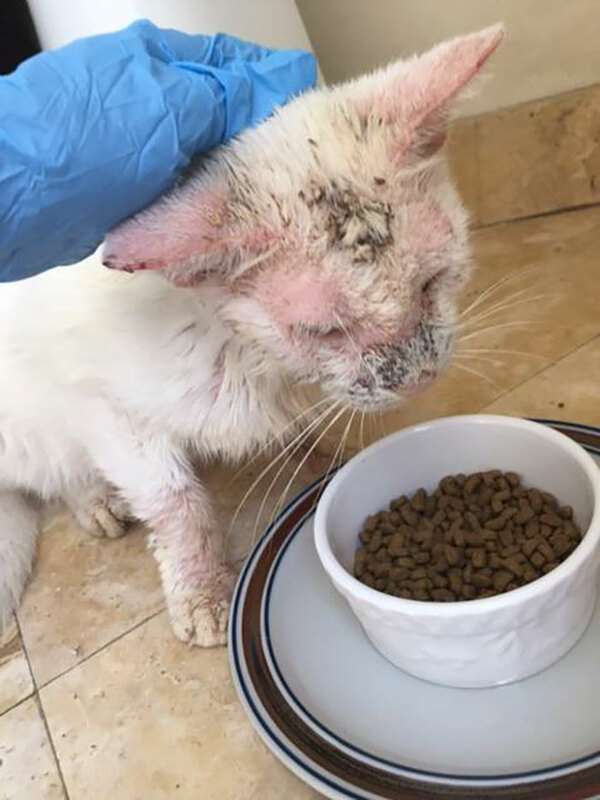 Working tirelessly for her feline friends, Carmen’s non-profit has provided Trap-Neuter-Vaccinate-Return (TNVR) services to hundreds of community cats in the area, but there is much more to be done! 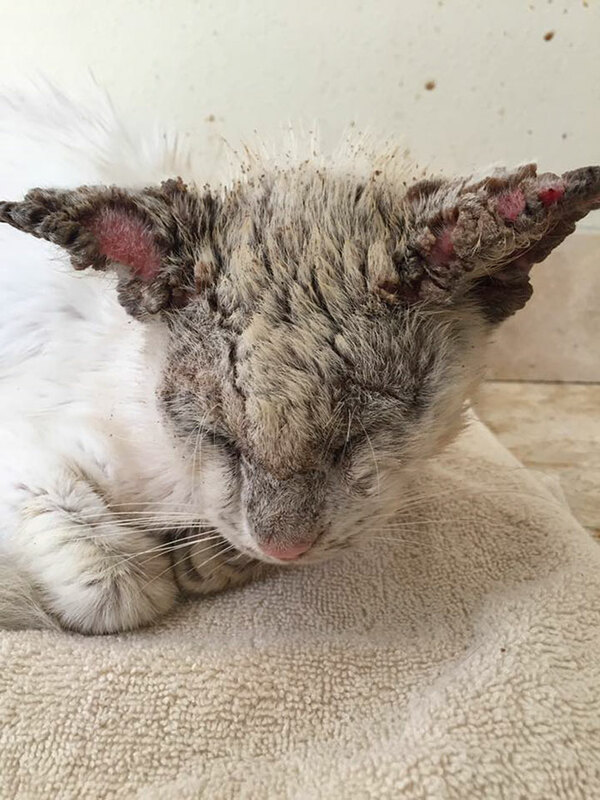 To help, you can donate here or perhaps foster or adopt a kitty yourself. 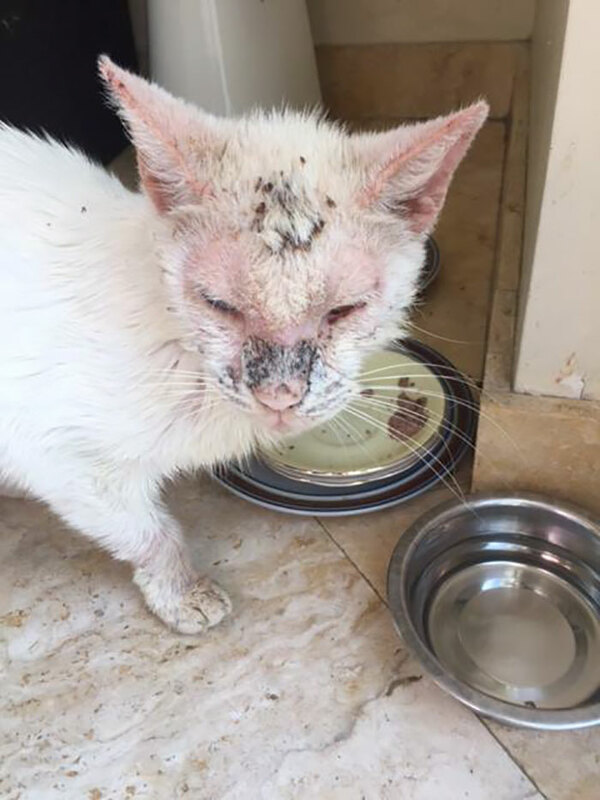 Check out Carmen’s Facebook or Instagram for more details!